Look through the math activities in this collection and add some to your repertoire. Consider broadening the gingerbread math to include measurement, games and problem solving this year. 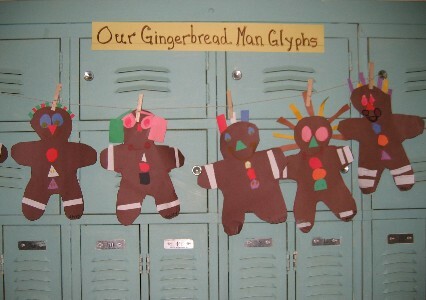 View the Mathwire Math Activity Themes: Gingerbread Man Math to view and download the gingerbread activities You'll find a variety of resources to meet the differentiated needs for additional practice or challenging enrichment. 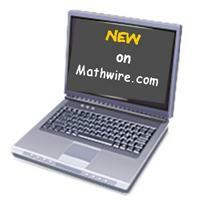 See all Mathwire Math Activity Themes. Winter 2005 Math Activities: include Koch Snowflake, Penguin Math, Snowflake Activities, Snowman Problem Solving, Literature Connections, Winter Glyphs, Winter Data Collection, Gingerbread Activities, Winter Coordinate Graphing, Holiday Problem Solving, and samples of student work. Winter 2006 Math Activities: include penguin math, winter coordinate graphing activities, snowflake activities, literature connections, winter glyphs, winter problem solving and links to additional online activities. 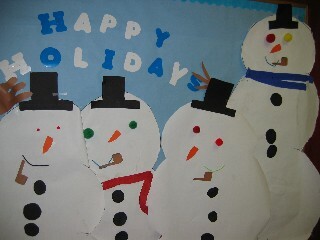 Winter 2007 Math Activities: include Winter Geometry, Pattern Block Snowflakes, Snowman Math, Penguin Math, Gingerbread Math, Winter glyphs, Winter Coordinate Graphing Activities, Winter Problem Solving, Winter Math-Literature Connections, and Links to Winter Math Activities on the web. February 2006 Math Activities, updated for 2007, include Freedom Quilts, Valentine's Day, Presidents' Day, Winter Olympics. Valentine's Day 2008 Math Activities include Valentine Probability, Valentine Discrete Math, Valentine Quilts, and Valentine Symmetric Faces.